Ralph E. Duckworth Jr. | ATI Financial Services, LLC. 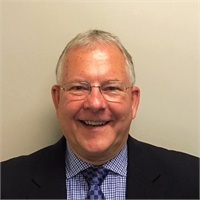 Ralph received his BA in economics from Carnegie Mellon University in 1973 and his master's in business administration from the University of Pittsburgh’s Katz School of Business in 1974. He also completed postgraduate work at Northwestern University’s Kellogg School of Management. After receiving his MBA in 1974, Ralph served in a variety of financial positions in public accounting and industry. Ralph is securities registered FINRA Series 7, Series 66 (held through Lincoln Investment), and insurance licensed in addition to his CPA designation in Pennsylvania. He is a member of the American Institute of Certified Public Accountants and the Pennsylvania Institute of Certified Public Accountants. Ralph resides in New Sewickley Township, Beaver County, with his wife, Jan.